You could be forgiven for thinking that the 50 Dragons slot is just an extension of the popular 5 Dragons slot, but the two games are quite different. Even though both games have been built by slot developer Aristocrat they have very different gameplay. 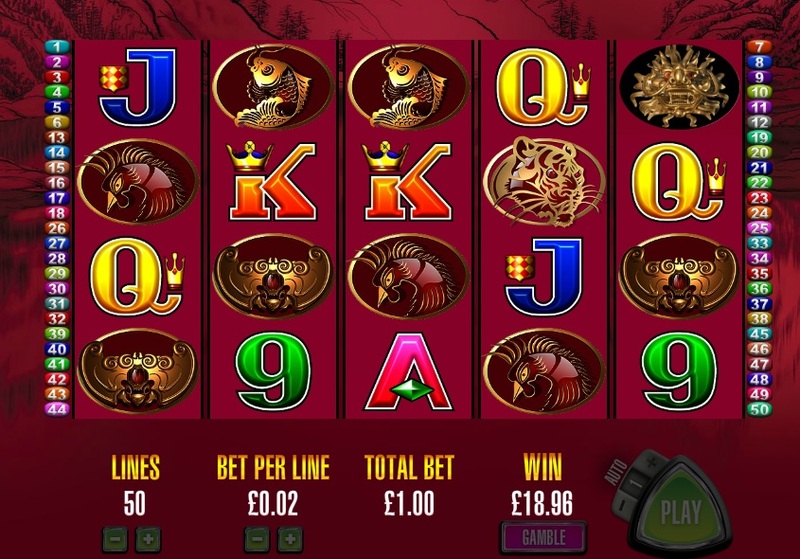 The '50' in 50 Dragons is in reference to the number of paylines, whereas in 5 Dragons the number '5' relates to the options in the bonus game. Now that we have cleared that up, I should mention that both games have been released online. My preferred of the two is 50 Dragons, which is a simple, but entertaining video slot. It has the classic free spins bonus round, which awards 10 free games when you get 3 Ignot scatter symbols on reels 1, 2 and 3. This can retrigger for an extra 5 free spins and the real kicker is the extra wild on reels 2, 3, 4 and 5. There are some decent wins to be had in the normal game too, with stacked Dragon symbols on all reels. If you line a few of these then it will payout well. 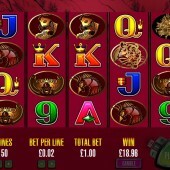 If you like Aristocrat slots then you will be pleased to know that they are releasing several more of their games online. Already they have brought out Zorro slot, the Aussie-themed Big Red, and the superb sequel - Queen of the Nile 2. There are several others available and other top titles on the way.